The owners have placed Catamount on the market after operating the ski area for nearly half a century. 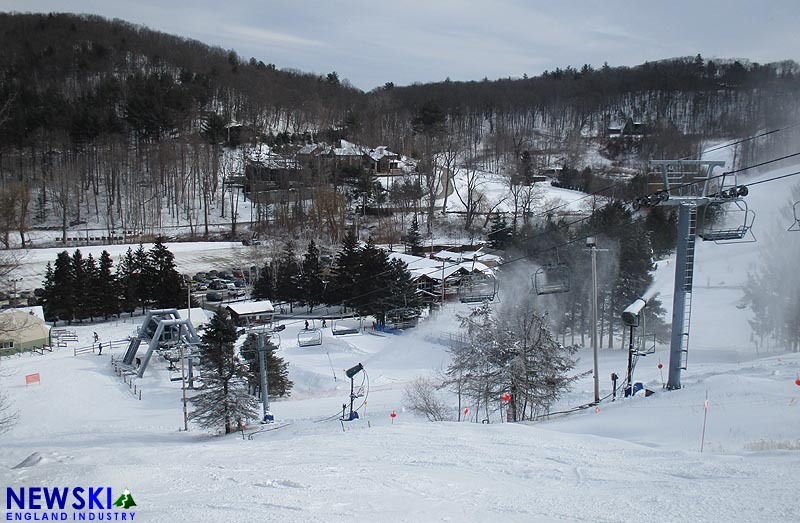 Massachusetts-New York border ski area Catamount has been placed on the market after 45 years of ownership. Mirus Resort Advisors is listing the ski area, which is located on 385 acres of private land and 12 acres of leased land. Bill Gilbert, Sandy Gilbert, and Don Edwards acquired a financially strapped Catamount ski area in 1973, quickly working to improve the snowmaking and base facilities. In order to make the business less reliant on volatile Southern New England winters, the ownership opened the Catamount Aerial Adventure Park in 2009 and advanced the Berkshire Mountain Club project, which would have included a timeshare hotel, two new chairlifts, and additional trails. The developer pulled out of the project in 2015 after legal challenges from a local lodging facility. Owner Bill Gilbert passed away in 2016. Catamount is the fourth Western Massachusetts ski area facing an ownership change in the past year and a half. Otis Ridge was sold to the owner of Ski Butternut on December 31, 2016, followed by Ski Blandford on September 1, 2017. Bousquet was placed on the market late this winter.